Often thought of as finishing touches, window treatments have a big impact on the look and feel of a room, as well as how it functions. When it comes to buying, you are spoilt for choice – from designer drapes to plantation shutters, and Roman blinds to frosted window film. When dressing the windows in a bedroom, make privacy, lighting and temperature control your key considerations, as they will affect the atmosphere in the space. Fabrics, in the form of curtains or Roman blinds, are firm favourites for creating a cosy, traditional feel in a period home. There are infinite designs to choose from, but when selecting, it is important to consider the amount of natural light in the room receives. If it’s south facing, consider blackout blinds or thick curtains to avoid uncomfortable glare in the mornings. Alternatively, if you like to be slowly awoken by sunrise, but still want privacy, then try a sheer blind or voile curtains. If your preference changes depending on mood or the time of year, team curtains with blinds for greater control. 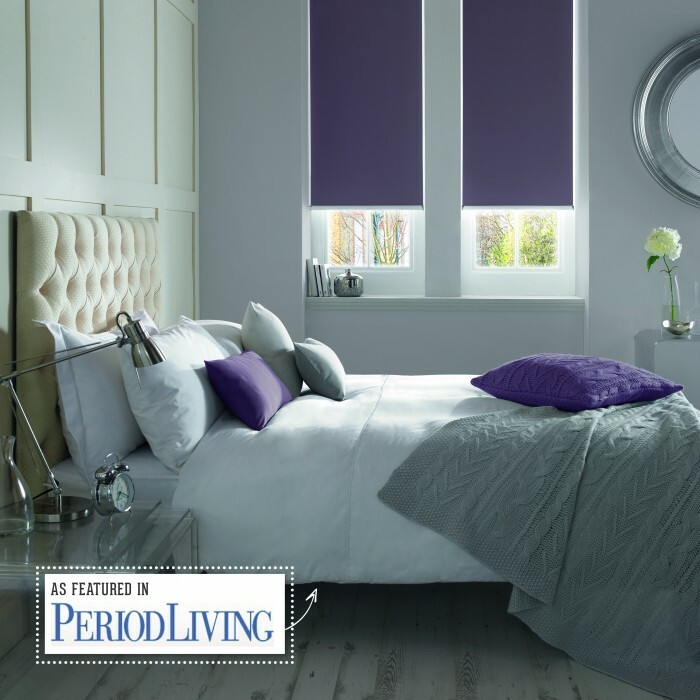 Ensure an uninterrupted night’s sleep, particularly on long summer days and bright mornings, with Style Studio’s Banlight Duo roller blinds. Available in 42 colours, including this Mulberry shade.